You’re grinding through Nancy and you feel great. Your runs have been fast, your overhead position and squat mobility feel solid, and the bar feels “locked in.” You know you’re gonna PR. In the third round though, the overhead work starts to add up. You’re plenty strong enough to squat the bar, and you aren’t gassed, but the overhead position starts feeling torturous on your wrists. Before you know it you drop the bar mid set. In the next round you put it down twice, and now that PR is looking unlikely. Betrayed by your wrists, the weak link in an otherwise strong chain. Maybe it’s time for some wrist wraps. 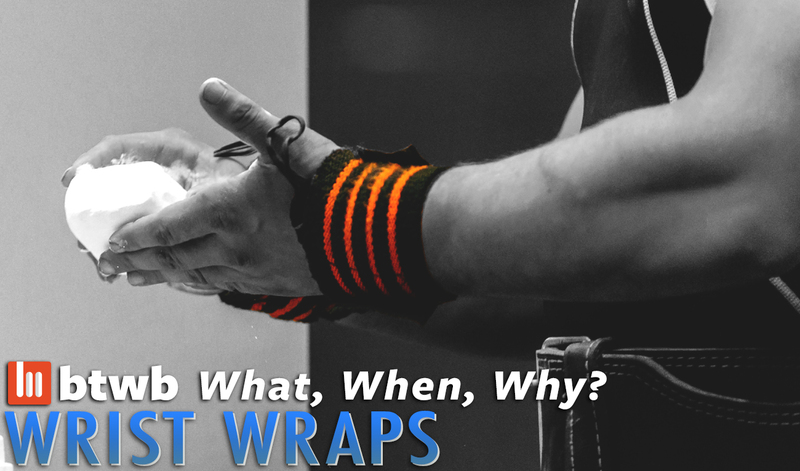 Quite simply, if you feel like your wrists often ache, feel unstable, or are the mitigating factor in when you have to break sets of overhead movements, wrist wraps might work for you. This doesn’t mean you shouldn’t train wrist strength- similary to my advice about belts and weightlifting shoes, consider wraps a deployable tool, not a constant. This might generate some debate, but as an (experienced) coach and (average) CrossFitter, I think wrist wraps have one real use- providing support to the wrist during movements where the wrist is meant to be held neutral (neither flexed nor extended) or in slightly braced extension (like in an Overhead Squat.) When I see people putting on wraps to do power cleans my brain explodes a bit- the wrap is meant to keep your wrist in a fixed position, and the movement your are doing involves starting with a neutral (or slightly flexed) wrist and catching in a VERY extended wrist. The wrap is likely limiting your catch position! I think some people tend to rely on wraps for a placebo/security blanket effect and want to wear them for everything, but I’d limit them (mainly) to overhead squats and carries, strict presses, and push presses/jerks or split jerks out of a rack.